Part of my birthday celebration of special things to do yesterday involved getting a little spur-of-the-moment fifteen minute "Traditional Chinese Massage" at the mall from a spry little Asian man for $12. I thought he was all going to adjust my feng shui and tap my meridians, but instead he just wailed on my back (and pinched the back of my ankles - what is that?). I felt like I was going through a car wash -- you know the part where the floppy brushes whap and whap and whap your car windshield and you think just for a moment that it might break? Yeah, like that. I am actually sore this morning, feeling like I got jumped into Fight Club with none of the fun. It was a beautiful Colorado summer day yesterday, replete with a warm afternoon rain and a fiery sunset. Three things that made me happy as I celebrated: a) trying on a hot pink one-piece strapless terrycloth jumper/track-shorts thingie that made me feel like a full-fledged member of Three's Company b) going out to a lovely birthday dinner at our local brewery with a few girlfriends I am lucky to know and c) really ridiculously enjoying some fresh cold watermelon from our local farmer's market. Simple pleasures of an August birthday. It's hard to believe that I am 28 now. I moved here when I was 25, and turned 26 shortly thereafter, but somehow the leap from there (right in the middle of my twenties) to 28 seems a long one, since one year from today I will be a year shy of thirty. Sheesh. I still feel maybe 15, 16. I am officially in the twilight of my youth, I've been told. It's a good life, a wonderful life, and I have no complaints, but how did 28 creep up on me? This is absolutely my new favorite album of the moment. I've been a fan of these gritty NYC rockers for about two years now [previous post], but I've been out of the loop and their newest release Dirty Bomb (2007, Tic Records) slipped right past me. The Westerberg-meets-Malin-meets-Clash blend percolates to a perfect urgent richness on this newest effort and it is addictive, melodic, catchy rough-edged rock. If you buy it over on this newfangled Amie Street thingie you get 3 extra tracks and the whole thing will only set you back like $6. It's the deal of the summer for this much goodness. I picked up this excellent charity benefit CD while I was in San Francisco this past February for the Noise Pop Festival and completely forgot to write anything about it. 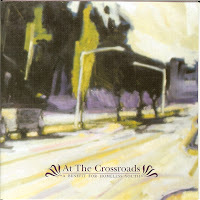 At The Crossroads is a benefit for homeless youth in the City by the Bay, and for a mere $12 you get a perfectly balanced blend of bands you've heard of and bands you haven't, all bringing their A-game to the comp. Artists include Calexico, Creeper Lagoon, Scissors for Lefty, Elephone, Bettie Serveert, Scrabbel (who I saw open for Cake the night I got this CD) and The Faint. A few of the tunes are fun covers (Morrissey's "Please (x3) Let Me Get What I Want" and U2's "Seconds"). Good music for a good cause, this song is summery and shimmery -- I am glad Rogue Wave offered it up for this compilation. 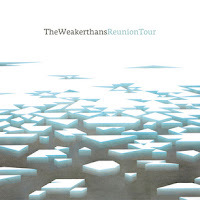 I've been excited to hear the upcoming Reunion Tour album from The Weakerthans after hearing effusive praise from a few pals who have given it a spin already -- and after hearing this track I see why. I have a penchant for sharp lyrics, and this is an area where Canada's The Weakerthans [previous post] stand out. Their incisive, introspective feel will probably remind you a little bit of Death Cab For Cutie if you haven't listened to The Weakerthans before; they are a richly nuanced group that I really enjoy. This song could undeniably be the most perfect summer night driving song ever recorded. You can almost see the yellow lines flitting past, feel the warm summer wind rushing in the open windows. Reunion Tour is due September 25 on Anti-/Epitaph Records. A DJ friend of mine in Seattle raved about these guys, and holy cow just hearing the opening twenty seconds of this indeed makes me want to get up and dance, in his club or in my living room. We're talking an inexorable pull, with those James Brown teasing guitar licks meets Talking Heads shouts. 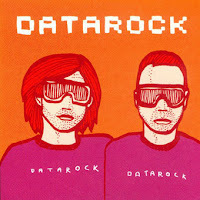 Apparently Datarock is a duo from Norway that have a penchant for matching track suits (hey, kind of like that time I saw Devo!) and make their own brand of urgent dance-punk-electronica. Those awesome Norwegians. This is off their 2005 album Datarock, and I just learned that this song will also make you want to drink cola beverages, or so hopes Coca-Cola in their newest commercial. My pal the Aquarium Drunkard has his own little record label dealie going on (you know those cool L.A. types) called Autumn Tone Records and is slowly building a quality catalog of mostly alt-country and folk releases. Travel By Sea is a lazy, sun-flecked, swing in a hammock on a late summer day band that hails from a California/Colorado long distance collaboration between Kyle Kersten and Brian Kraft. 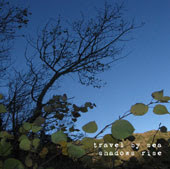 Their beautifully crafted-album Shadows Rise is now being re-released on Autumn Tone, with a new album expected any day now. Yeah, 30 is a big one. After that you woun't be able to trust yourself anymore. Atleast that is the yippie creed. Happy birthday and thanks for mentioning The Star Spangles! I've been loving that album all summer. They're one of my favorite bands, and a lot of fun (though sometimes messy) live. I love the Weakerthans. It's surprising how obscure they remain, despite having a song in Wedding Crashers, a highly accessible sound and brilliant lyrics. Maybe this will be the breakthrough album. happy birthday to you for the 20th. it's my birthday today! what a creative name to the master debator above. huh. Is it that people over 30 seem to ly about their age. cause when you hit 29 you're 29 forever. well until you can't pull off 29 then its 39....or at least thats what my 90 yr old grandma tells me. Reconstruction Site is such an amazing album. I can't wait for this one! Been lovin' your posts for a while now, coz even tho I'm old as dirt (40+ but only 26 in my head) I'm still all about the music. Thanks for sharing the passion! See? Extra birthdays don't have to be so bad. Happy belated, 30 was not fun, but they get better. Thanks for the music as always. Happy Birthday from a far away place! In Germany people say that when you turn 30, you'll get more serious. I hope they're wrong because I'd be worried about this great blog then. I am writer myself and I think you should try to write a novel. Have you ever considered doing it? I love your Blog. I download most of your song suggestions and listen to them all the time. Thank you. And congratulations for your 28th bisthday. I am 38 and still think I'm 15, so you have at least ten more years of a 15 year-olg girl. Enjoy them. 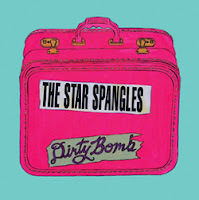 if you like the Star Spangles you really need to check out nextmusiconline.com. They recorded a NEXT concert for me and you can stream it there. Enjoy. I'm late, but Happy Birthday!! Mine was Monday (the 20th). I turned 44, so I can't really sympathize with you turning 28!